Published: Oct. 8, 2018 at 09:13 p.m. Published: Jan. 7, 2018 at 05:47 p.m. Published: Nov. 19, 2017 at 04:08 p.m. 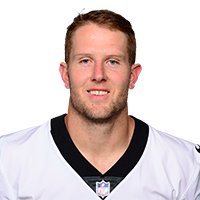 Published: Aug. 31, 2017 at 09:48 p.m.
New Orleans Saints quarterback Chase Daniel finds tight end Josh Hill for a 16-yard touchdown.